Join the Heroes of The Hollows, a squad of superheroes sworn to protect their hometown and its corporate founder, The Holos Corp. Decide how to run missions, use your special abilities, and which teammates will be your best friends, rivals…or something deeper. Welcome to The Hollows, an idyllic town protected by a very special squad of superheroes. Hired by the Holos Corp, creators of the world’s first holographic companions, the Heroes of The Hollows protect their town and company from all villains who aim to destroy what they’ve built. Thanks to The Holos Corp, hard-light holographic companions can be purchased as friends, employees or romantic partners (think Siri or Alexa, all grown up). While these Holos are coded to simulate real people, a debate rages: are Holos sentient beings, or are they just "Hollow," as they've been dubbed by some? There are many who believe replacing real human relationships with Holo/Hollow relationships is dangerous…so the question remains, will you be potentially "Hollowed Out" by engaging with your own Holo teammates, the Daylong Twins? Play as one of the members of this five-person superhero squad, deciding how to run missions, use your powers, and which teammates to love—or hate. Will you survive the weekly missions…and will your eye be keen enough to uncover a secret lurking in the shadows of The Hollows? Join the Heroes of The Hollows and find out! 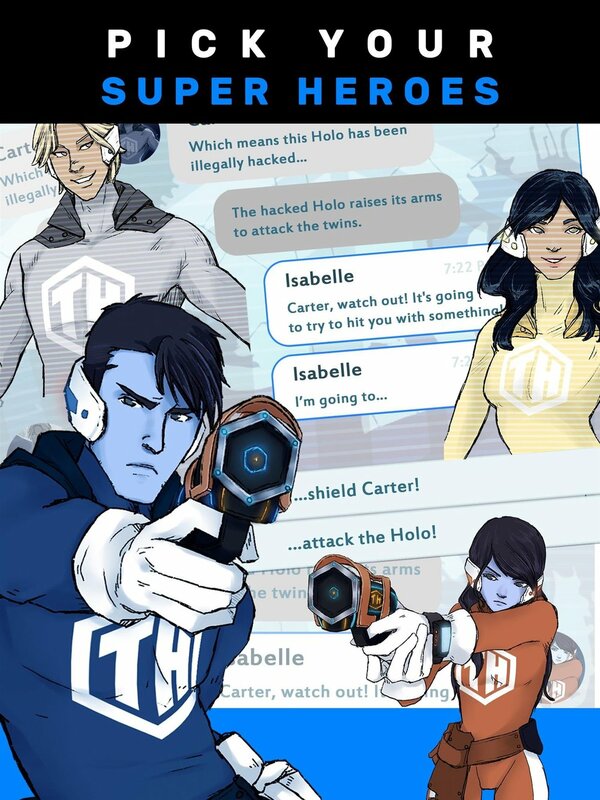 Heroes of The Hollows takes place in a chat-based setting, with characters interacting exclusively in text-message format told in regular episodes. Guide the story by choosing which messages of your own to send. Also choose to customize your character with several gender (cisgender, transgender, intersex, nonbinary) and sexuality (gay, straight, pansexual, asexual) options. read episode one in the moments app below. then return to the app for all episode RELEASES!